Professor Pleshakov has been teaching at Mount Holyoke since 1998, and in 2012 was named one of Princeton Review’s 300 Best College Professors. He is the author of numerous books, including There Is No Freedom Without Bread! 1989 and the Civil War That Brought Down Communism, Stalin’s Folly: The First Ten Tragic Days of World War Two on the Eastern Front, and The Flight of the Romanovs: A Family Saga. 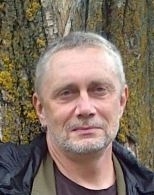 Constantine Pleshakov is currently considered a "single author." If one or more works are by a distinct, homonymous authors, go ahead and split the author. Constantine Pleshakov is composed of 5 names. You can examine and separate out names.